An update to Vol. 3, pp. 839–841. Excavations at Kabri were conducted over eight seasons, from 1986 to 1993, by A. Kempinski, E. Miron, and W. -D. Niemeier on behalf of the Institute of Archaeology of Tel Aviv University. 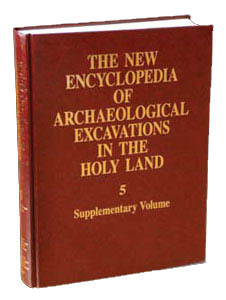 Excavations were conducted in area B, the ancient nucleus where strata dated to the Wadi Rabah culture and assemblages belonging to the Early Bronze Age I–II were unearthed; areas F and D, the Middle Bronze Age palace; and area E, the Phoenician tell and the post-medieval Arab settlement. Also excavated were area C, the northern part of the tell, in which vestiges of the Middle Bronze Age II fortifications and related structures were found; and area T, the fortifications at the margins of the northeastern rampart. AREA B. In order to obtain a continuous stratigraphic sequence at the site, it was decided to remove the Early Bronze Age buildings in square J/14 and dig further down into the earlier occupation. A sequence of stone layers separated by soil fill was unearthed. Finds retrieved primarily from between the stone layers include large quantities of potsherds, flint and obsidian tools, basalt artifacts, spindle whorls, animal bones, and human burials. This assemblage of the Wadi Rabah culture is dated to the end of the sixth and beginning of the fifth millennia BCE.